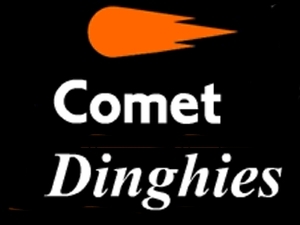 Comet Dinghies pride themselves on building a range of practical modern sailing dinghies for discerning customers, who value quality and personal service. Although all our dinghies are highly equipped as standard, an extensive choice of options make each Comet quite individual to suit each customers needs. All the Comet range are almost custom built, fitted out to your personal requirements making each dinghy quite individual, rather than the ” take it or leave it ” style of some other boat builders.